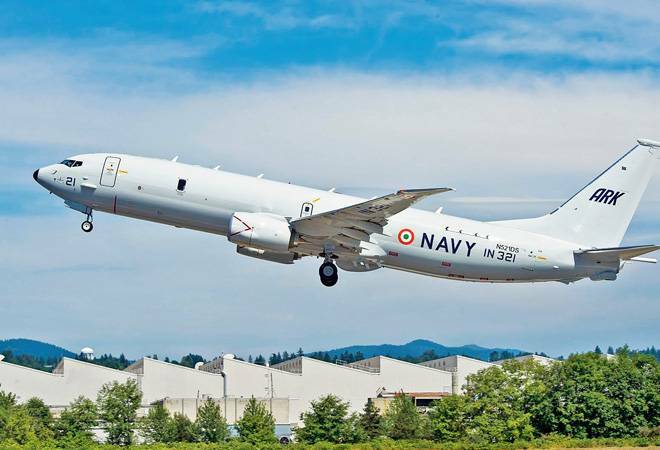 The Comptroller and Auditor General of India (CAG) has red flagged a USD 2.1 billion Indian Navy contract, awarded to Boeing during the previous UPA government, stating that the US company was favoured over rival bidder EADS CASA of Spain for procuring a fleet of P-8I maritime reconnaissance and antisubmarine warfare planes. In its report tabled in Parliament on Tuesday, CAG said the Defence Ministry enhanced the financial bid of the Spanish aerospace firm to provide for a 20-year product support cost on the assumption that Boeing's offer had a similar provision. However, Boeing, at a later stage, offered the aircraft maintenance support under a separate negotiable contract, the auditor said, while terming as "incorrect" the conclusion that the US company was the lowest bidder (L1). It said enhancing the financial bid of the Spanish company by including its product support cost resulted in pushing it to L-2 status (second lowest bidder). The report states that the contract was concluded with Boeing in January 2009 at USD 2.1 billion (about Rs 14,500 crore at the current exchange rate). At a later date, Boeing, USA, offered the product support under a separate negotiable contract and consequently the deduced ranking of Boeing, USA as L-1 (the lowest bidder) turned out to be incorrect, the report said. The report further states that the Defence Ministry had set the offset obligation by Boeing at USD 641 million (Rs 3,127.43 crore) which was to be met by August 2016. However, the US company has failed to fulfil the offset obligation. Boeing had claimed offset credits on mere placement of purchase orders defeating the very purpose of offset obligations, the report states. The report also reveals that the navy's requirement had envisaged the procurement of torpedoes and bombs as the ammunition for anti-submarine warfare (ASW). However, the contract for procurement of the bombs had not yet been concluded. The 2009 deal was for eight P-8I (Poseidon Eight India) aircraft. The first aircraft came to India in May 2013 and all the eight aircraft have been fully integrated into Indian Navy's operations. Besides, the report highlights the fact that the failure to procure long range sonobuoys required to detect submarines also impacted the surveillance capability of the navy. According to the CAG report, one of the primary roles of the aircraft is anti-submarine warfare performed by the acoustic system on board in association with sonobuoys, which not only provides capability to detect and track submarines accurately but also helps in garnering volumes of acoustic data.